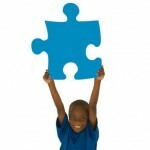 Autism is a very complex medical condition that affects a person’s ability to communicate, socially interact with others and their ability to regulate behaviors and sensory stimuli. Autism was first described by a U.S psychiatrist Leo Kanner in 1943 from a group of eleven children that were under his care. That same year, a German pediatrician named Hans Asperger described some of the children he was treating as having high IQ’s, but lacked social skills, empathy and having one-sided conversation. Asperger’s Disorder was added to the American Psychiatric Association’s Diagnostic and Statistical Manual of Mental Disorders (DSM-IV) in 1994 as a separate disorder from autism. It was removed from DSM-5 in 2013. 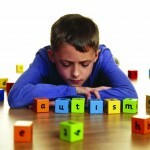 Autism is a bio-neurological developmental disability that generally appears before the age of 3.